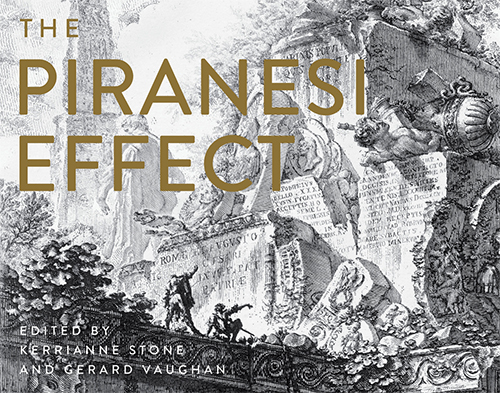 This book publishes a conference convened by the Australian Institute of Art History in February 2014 on the global impact of Piranesi: Piranesi and the Impact of the Late Baroque, presented in collaboration with the State Library of Victoria and the Baillieu Library, The University of Melbourne. The work of Italian printmaker Giovanni Battista Piranesi (1720-1778) has captivated artists, architects and designers for centuries. Although contemporary Australia is a long way from eighteenth-century Rome, it is home to substantial collections of his works, the largest being at the State Library of Victoria and the University of Melbourne.The Piranesi Effect is a collection of exquisitely illustrated essays on the impact of Piranesi's work throughout the years. The book brings together Australian and international experts who investigate Piranesi's world and its connections to the study of art and the practice of artists today. From curators and art historians, to contemporary artists like Bill Henson and Ron McBurnie, the contributors each bring their own passion and insight into the work of Piranesi, illuminating what it is about his work that still inspires such wonder.